Posts tagged with "Pebble Beach Concours d’Elegance"
•	1953 Lancia Aurelia PF200C, owned by Anne Brockinton Lee of Nevada, won “Best of Show”. 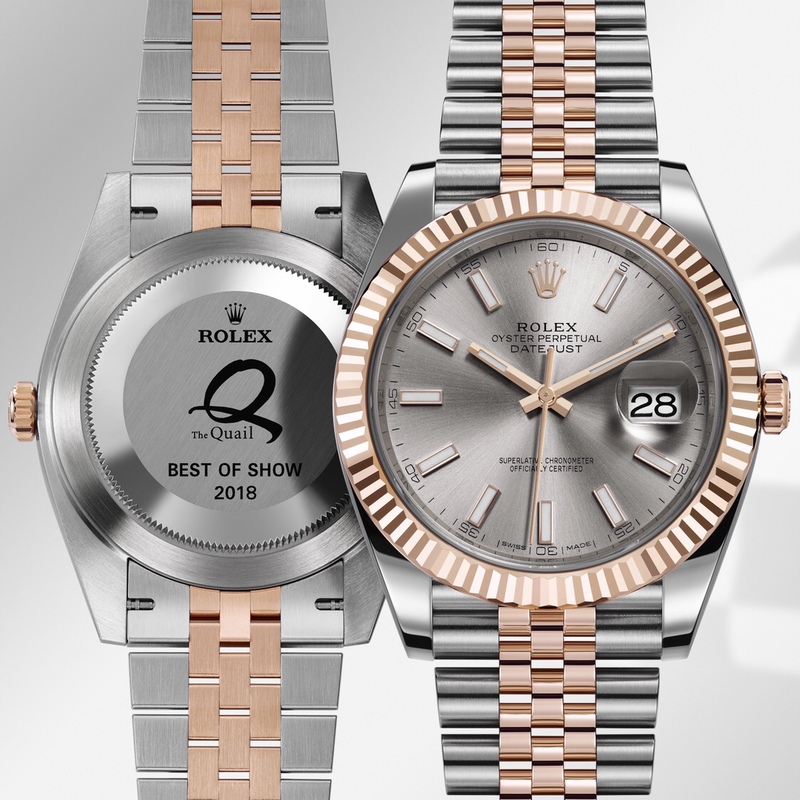 •	Brockinton Lee was awarded a Rolex steel and Everose Datejust 41. 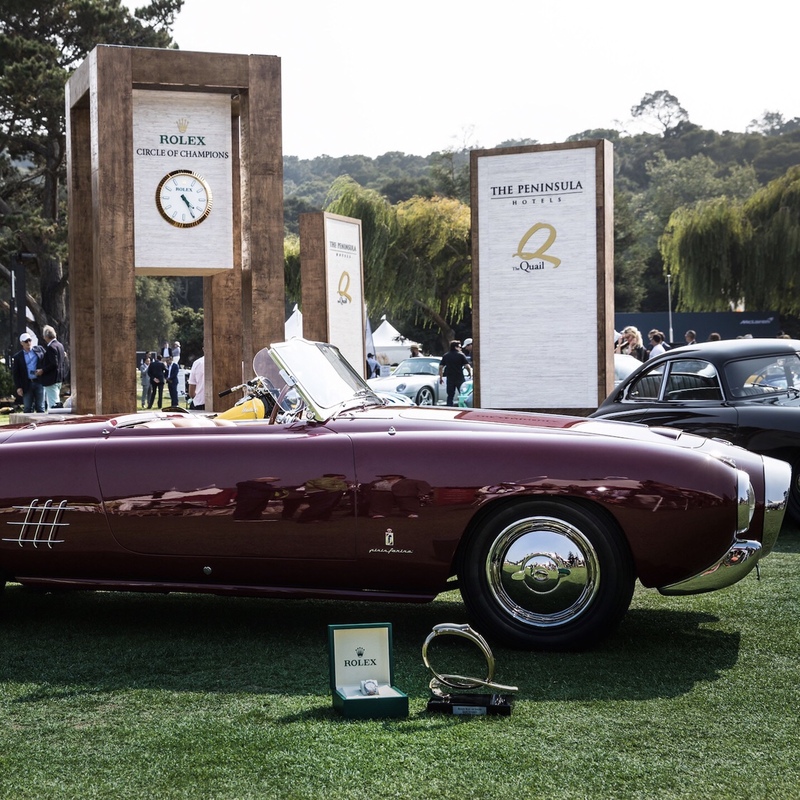 •	Throughout the show, guests were treated to a roster of programmatic events including the Fireside Chat Series headlined by road racing legend, winemaker and Rolex testimonee, Scott Pruett. •	Spirit of the Quail award went to Dean Lanzante for his 1979 Volkswagen Tamiya Sand Scorcher. •	The Octane Choice Award went to The Hon. Sir Michael Kadoorie for his 1958 Ferrari 250 Testarossa. •	The FIVA Award went to Eric Breslow for his 1970 Datsun 240Z. •	Awards were presented in 14 categories. •	6,000 people, 235 cars attended the annual motoring celebration. This entry was posted in Design and tagged 1953, 360 Magazine, Amelia Island Concours d’Elegance, antique, Aurelia, cars, circle of champions, design, Diana Macaraeg, Goodwood Revival, lancia, Monterey classic car week, Motorsports Gathering, Pebble Beach Concours d’Elegance, the quail, Vaughn Lowery on August 25, 2018 by wp360mag. “Monterey Car Week is one of the world’s premier luxury motor car events, so it is fitting that we showcase the finest Bespoke motor cars in the world here, and also debut Cullinan, the Rolls-Royce of SUVs, to the American public. 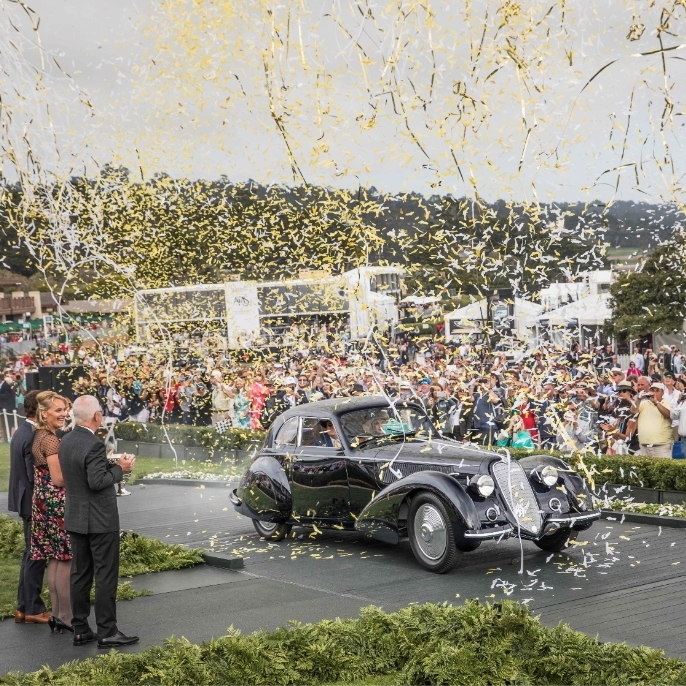 From the primacy of Phantom to the power of Cullinan, the Rolls-Royce presence at 2018 Pebble Beach Concours d’Elegance has never been more compelling, and these Bespoke Rolls-Royces will grace these lawns as classics for generations to come.” … Torsten Müller-Ötvös, Chief Executive Officer, Rolls-Royce Motor Cars. Unveiled to the world in May of this year, four Cullinans will be positioned around the peninsula in a variety of color and Bespoke configurations for its future customers to discover. Rolls-Royce will show for the first time in North America a Cullinan with Iguazu Blue exterior. The stunning Charles Blue interior is offset with Scivaro Grey highlights and open Paldao veneer. The other Cullinans on display are adorned in Magma Red and Darkest Tungsten. This year’s Pebble Beach will play host to the alter ego of Rolls-Royce Bespoke as the marque demonstrates the breadth of its Black Badge Bespoke offer. Proving that a Black Badge Rolls-Royce need not only be black in color, four different Collections will move through the Black Badge color spectrum: The Umbra Collection; Adamas Collection; The Paradisio Collection and The Nebula Collection. Black Badge Umbra, the extreme embodiment of the eponymous darker side of Rolls-Royce debuts this week at the Rolls-Royce Villa at Pebble Beach. The Umbra Collection comprises Dawn, Ghost and Wraith, and feature Matte Black exterior finish, fully darkened chrome including a darkened Spirit of Ecstasy and 21 inch carbon alloy wheels. The Anthracite interior is starkly offset with Mugello Red and Black highlights. All three commissions feature a stunning technical fiber fascia and interior accents as well as custom Black Badge Bespoke Starlight Headliners and Bespoke ‘Pebble Beach 2018’ treadplates. 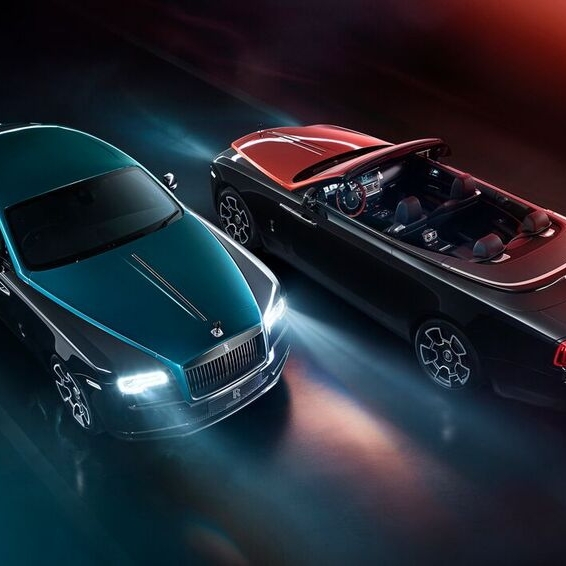 Turning up the color spectrum, the Rolls-Royce Bespoke Collective has specially created the boldest Black Badge Collection ever imagined for this year’s Pebble Beach Concours d’Elegance. The Paradisio Collection of one Dawn, one Ghost and one Wraith features a newly-developed solid exterior paint called Pebble Paradiso Blue, inspired by the location of The Pebble Beach Concours d’Elegance and its beautiful blue surroundings of water and clear Californian sky. These cars are also reminiscent of the exploits of those adventurers who partook in the 1913 Alpenfahrt driving such classic Rolls-Royces as the James Radley 1913 Silver Ghost with its solid blue paintwork. The exterior is offset by a mandarin coach line, twin bonnet pinstripes and pinstripes on the wheel-centers. The interiors of the three cars vary in design. Ghost, which is more focused on the rear passenger’s comfort, reflects this visually with a more intimate and cool Black and Charles Blue leather color-way off set by Charles Blue and Mandarin stitching and a Black and Charles Blue two-tone steering wheel. Wraith and Dawn add more Mandarin into the interior color palate, increasing the visual heat and driver’s intent of the cockpit. The exterior is enveloped in Iced Selby Grey, a flat grey hue, reminiscent of the ultra matt aesthetic of the heat shields of great, technical, space craft themselves. Inside, the interior colorway features Selby Grey and Black leather, offset against high contrast Sunset accents in the format of a two tone steering wheel, piping and stitching. The contrast masterfully imbues the impression of color imparted by a space shuttle fuel tank. This is perfectly offset against a technical fiber fascia, a sought-after aesthetic found in many Black Badge motor cars. The Rolls-Royce clock embodies the Nebula theme in miniature. A depiction of a portion of the night sky in the Northern Hemisphere in March are backlit on the clock’s face, encircled in the accent ‘Sunset’ color, providing the impression of viewing the stars through the window of a space craft. This entry was posted in Auto and tagged 1913 Alpenfahrt, 360, 360 Magazine, Adamas, aerospace, aesthetic, astronauts, Atrin Yazdani-Biuki, Black and Charles Blue, Black Badge Collection, black badge ghost, Black Badge Umbra, Black leather, cars, Charles Blue and Mandarin, charles rolls, collector, dawn, Dawn Black Badge Adamas, Dawn Black Badge Adamas Collection, design, England, Ghost and Wraith, Goodwood, honeycomb, Iced Selby Grey, James Radley 1913 Silver Ghost, jewelry, Michael Fux, miniature, Monterey car week, motor car, Mr. Müller-Ötvös, Nebula, Nebula Collection, Northern Hemisphere, Pebble Beach Concours d’Elegance, Pebble Paradiso Blue, rolls-royce, Rolls-Royce clock, rolls-royce phantom, Selby Grey, sky, Space, space shuttle, space station windows, space telescope, spacecraft, Speaker covers, starlight headliner, stars, The Paradisio Collection of one Dawn, The Pebble Beach Concours d’Elegance, Torsten Müller-Ötvös, Umbra Black Badge Collection, Vaughn Lowery, ‘Pebble Beach 2018 on August 23, 2018 by wp360mag.